Why You Should Celebrate National Pet Month! I know, you’re probably rolling your eyes at the thought of another “National” something or other day or month, but this one is all about our best friends. Let’s face it, we all get lazy sometimes or settle into a routine with our pups, so the month of May is a perfect time to shake things up and celebrate National Pet Month! What the Heck is National Pet Month? National Pet Month is a holiday that was started in England to celebrate the benefits that pets bring to peoples’ lives. It’s celebrated during the month of April in the UK and during the month of May here in the US. Here are the four goals for celebrating this holiday. Yep, this would be the ultimate way to celebrate! Head to your local shelter and see if your new best friend is waiting there for you. If you’re not ready for a furever friend, consider fostering a dog or cat in need. There are many ways to volunteer your time or talent to a local shelter or rescue. Maybe you can volunteer to work a few hours each week or offer your expertise to help train or take pictures of dogs to make them more likely to be adopted. You can also post images of adoptable dogs and cats on your own social media networks. While doing your spring cleaning this month, gather any towels, blankets, pet toys, food or treats that you can donate to a local shelter. Of course, they also appreciate financial donations as well. If you love your vet, dog trainer, groomer, pet sitter, dog walker or any other pet professional, help spread the word about how fantastic they are. 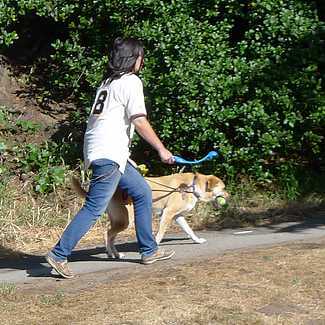 Walking a shelter dog is a perfect opportunity to exercise while also helping a dog get some exercise, socialization and training. All of those things may help a shelter dog get adopted sooner. Some shelters even supply vests for the dogs to advertise they’re available for adoption. If agility and fly ball don’t appeal to you, but you would like to do something more with your dog, think about taking a Canine Good Citizen certification class. As a therapy dog, your pup can help kids learn to read at your local library or bring some cheer to children or seniors at a local hospital or senior care facility. Dogs love to get out of the house and perhaps you know a friend, relative or senior that would enjoy a visit from you and your cheerful canine. When someone stops to admire or pet your dog, share with them about how much unconditional love and joy your pet brings to your life and the many benefits of owning a pet. Promote responsible pet ownership by training your dog and setting a good example of pet etiquette. Our dogs give us their unconditional love and companionship, they make us laugh and lower our blood pressure, they keep us healthy by being motivational exercise partners and so much more. Our sweet pups do so much for us even though we sometimes get into a rut, skip a walk or get caught up in our busy lives. National Pet Month is a good reminder to keep things interesting for our dogs and to take some extra time to give something back, like trying some of these fun activities. Take your dog for a walk or hike somewhere new and give them extra time to stop, sniff and explore all of the new scents. 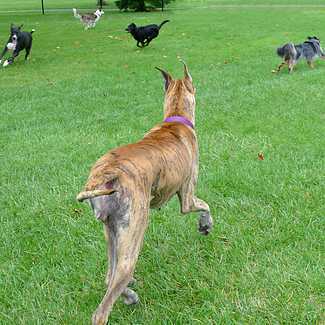 Visit a dog park or arrange for a playdate with your pup’s favorite play buddies. What dog wouldn’t want to hang out in the kitchen while you mix and bake his favorite ingredients into some tasty homemade treats? Visit your local pet store and allow your buddy to pick out a few toys or a bone. Order a new, stylish collar or maybe upgrade that old, worn out bed with a new model. 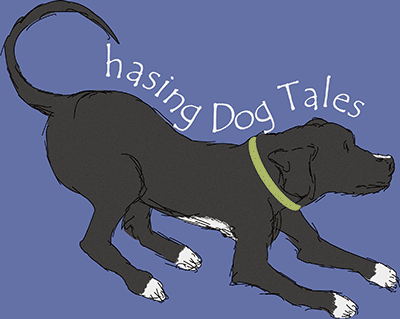 Plenty of beautiful handmade dog products can be found on Etsy. Most dogs love a challenge, so teach your dog a new trick, set up an obstacle course in the back yard or play a game like Find It. Visit a new park and explore some interesting trails or plan a trip to a beach or lake where your dog can swim and dig in the sand. Try something completely different with your dog, like kayaking or canoeing or relax with a Reiki or Doga class. If your dog loves belly rubs, he’ll really enjoy getting a long, relaxing massage from you. Good news! It’s beneficial for you too because it helps reduce stress and anxiety. I don’t take most of these “National” holidays too seriously, but sometimes they can be a helpful reminder for us. Feel free to skip National Whiners Day and National Have a Bad Day Day, but do at least one thing this month to promote the benefits of pets and spend some quality time with your dog or cat. How do you plan on celebrating National Pet Month? 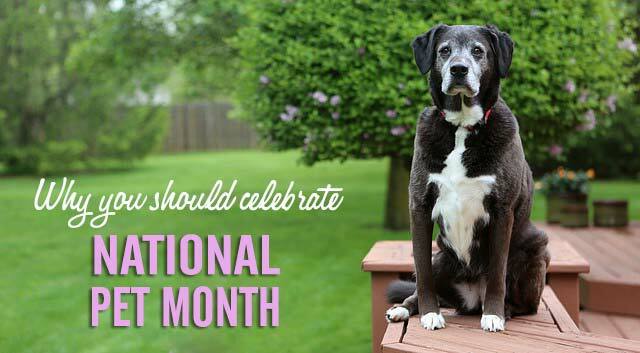 Those are some great suggestions to celebrate National Pet Month! Can we add to your list raise a guide dog puppy 🙂 I think I’ll celebrate with my dog by taking on item #6 Challenge Your Dog. I’ve been wanting to get Stetson back into nosework and this is a perfect month to do so. Thanks for the inspiration! Perfect, Colby! That’s something I would love to do one day. I bet there’s nothing more rewarding and nothing harder when it’s time to let them go too. ? Yep! It’s awesome to see your puppy help someone regain his/her independence. We aren’t much for most of those “odd” special days. I think around here we celebrate pets most days of the year, doing fun things, being together. Pets and people is a special thing and should be celebrated. Absolutely, Emma! It’s pretty much National Haley Day around here nearly every day too, haha. ? Oh, I love this article!! Your suggestions are great! We should celebrate our pets daily!! Thank you, Valerie. Have a wonderful Wordless Wednesday! ? I think there should be a National Golden Retriever Day too! Many great reasons, have a great day. Have a great day too, JoAnn and thanks for stopping by! ? I’m thinking I’d reinforce some of the training we’ve done. Things have gotten kind of lax around here lately! Sometimes we need training refresher courses around our house too, Erik! ? Now you’re talkin’ Barbara! Haley’s first choice would be to go along with you if something yummy is involved, lol. Now if only I didn’t already do all those things with my shelter mutt! Now I need to think of something extra special to do!! It seems like almost every day I hear about a new sport or activity to try with your dog. If it snowed more around here in the winter, I would love to try skijouring! I love it!! It is so fun to celebrate with Cocoa Bean. I love taking her to a new park or to the toy store. We went on a trail run this morning and after she gets some rest we are going to go to the toy store!! Cocoa’s having a great day! That’s awesome!! ? The Boys are such a huge part of my life – I think everyday of every month is a National holiday! I think so too, Cathy. Our lives are so much better with our pups hanging out beside us each day, right? ? Yes! I couldn’t agree more, Lindsay! I’ve enjoyed learning so much about hunting dogs through your blog, Linda. It must be really special to go out on a hunt and have your best friends beside you to enjoy the day and hopefully return with dinner. ? Oh I love this post so much: Great tips in here, I really like the visit a senior or friend one. There are some seniors on our street and I think about how they’re doing when I walk past their house, I should pop in. I also started a new class with Walter this week so we’re trying some new activities! I bet Walter is really enjoying the new class! That’s something I’ve never done with Haley so we should give that a try. ? We love to celebrate the dogs. Pierre always tries to celebrate with cake…BOL! I vote to celebrate with Pierre, lol! ?? I’m trying to organize a group training project at the shelter with Mr. N’s therapy group! What an awesome idea and so helpful to those shelter pups! Bravo, Mr. N! ?? Every day is a day to celebrate with our best friends, right? ? Jean, you’ve picked a wonderful way to celebrate the month with those adorable kittens! I know they’re keeping you busy, but I bet they’re keeping you entertained too. ?